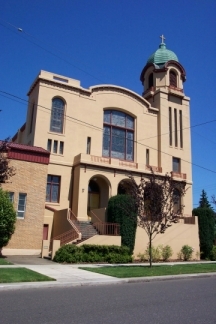 Alameda is located in Northeast Portland. It is bordered by the Irvington, Sabin, Concordia, Beaumont-Wilshire and Grant Park neighborhoods. Alameda is a gorgeous neighborhood with quiet, tree-lined streets and some gorgeous homes, many on larger lots. Homes that are located on Alameda ridge have a stunning view of Portland and the West hills. Alameda is a popular and prestigious community with a strong sense of neighborhood pride. Nearby (Beaumont-Wilshire) you will find coffee shops, a brewpub, and some nice residential and commercial areas to take a stroll. Alameda overlaps on one side with Irvington, also an older historical neighborhood with grand homes. This is a popular historical neighborhood with a comfortable family vibe. It feels like a classic old neighborhood where people still know their neighbors and enjoy spending time at the park and school events, as well as hanging out at local establishments that have been in the neighborhood for decades. Homes and lawns are well kept and show pride of ownership. There are some wonderful views along Alameda Ridge, so this is also a popular neighborhood for walking tours. There is a cute shopping and dining strip along Fremont heading into the Beaumont Wilshire neighborhood. Coffee shops, boutiques, new establishments, and classic neighborhood restaurants that have been in the neighborhood for decades can be found along this strip. Joining Portland's wide array of micro-breweries, Alameda has it's own brewpub. Try the Alameda Brewhouse. Enjoy a leisurely breakfast with the locals while reading the regional paper at the Alameda Cafe. Enjoy a delicious breakfast of homemade waffles, bacon and eggs, or some quiche. Service is always friendly, and the warm cozy dining room is a wonderful place to spend some time on a cool rainy Portland day. Feel free to post your Alameda neighborhood events directly to the Portland Events Calendar on our community site. We regularly feature member-added Portland events in our weekly Portland events blog newsletter and feature your events on Twitter and Facebook. Get more coverage for your local events: it's free and easy to use. Just join our Portland community site, and click the +Add button under Events. You can also post questions about Portland or share information about your neighborhood on the community forum. 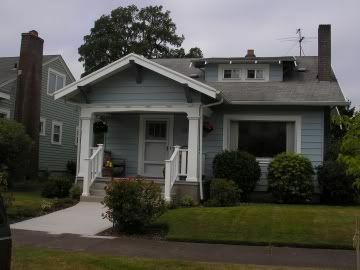 Homes in Alameda consist of older East Portland styles of Craftsman, Bungalow, and larger custom designs, as well as some more modest cottages, cape cods, and ranch style homes. This is a beautiful established neighborhood. Some homes along Alameda Ridge offer nice views. If you're looking for Alameda Real Estate or Homes for Sale in Alameda, visit our Alameda Real Estate Page. About 10 minutes to Downtown Portland by car, 23 minutes by bus, 20 minutes by bike depending on traffic and time of day.